This is Motor Marc’s second addition to the HSR 2017 painting. The paintings compliment each other and the essence of the High Seas Rally. 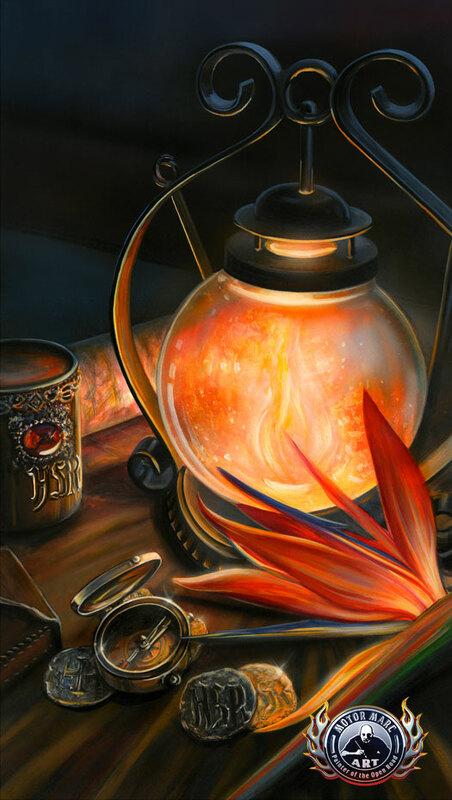 The glow of an antique lantern sheds light in the direction of your dreams. Let your imagination open your eyes to a great travel experience on the open tropical seas. 14" x 24", 18" x 32"